West Coast, Best Coast – you may have heard this boastful brag from your friends who call California, Oregon, and Washington home. While the east coast can’t be discounted, there’s something seriously cool about the west coast that we can’t help but wonder – is it really the best? 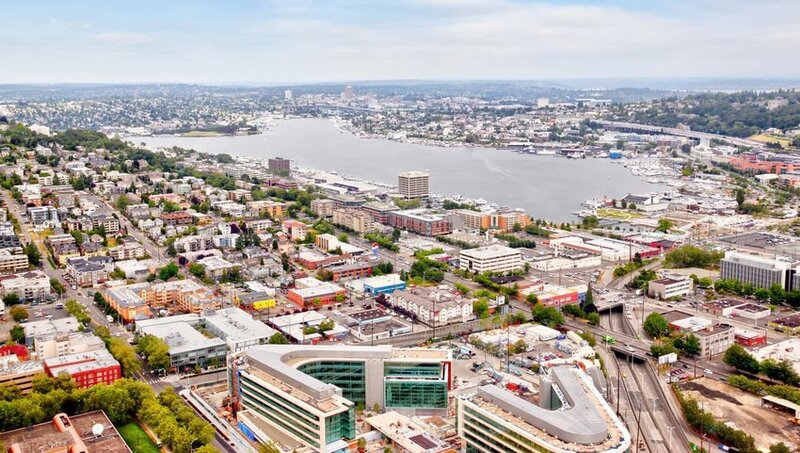 Check out 10 of the trendiest neighborhoods in the west and decide for yourself! 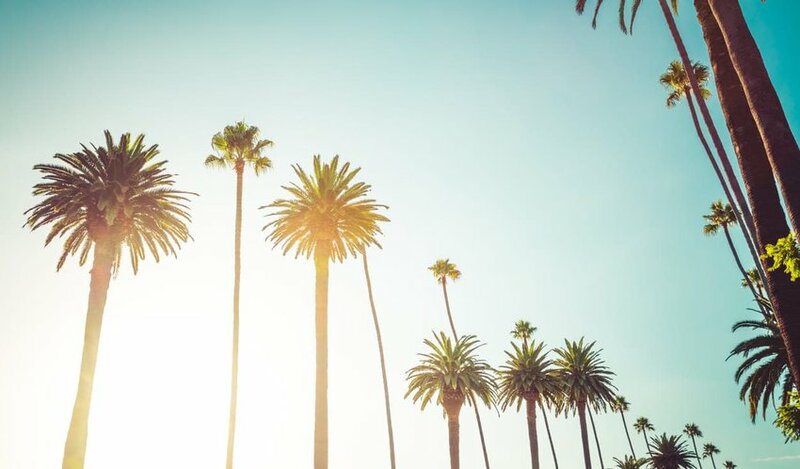 Punks, surfers, skaters, foodies, and craft beer lovers can all happily call this sunny southern California neighborhood home. 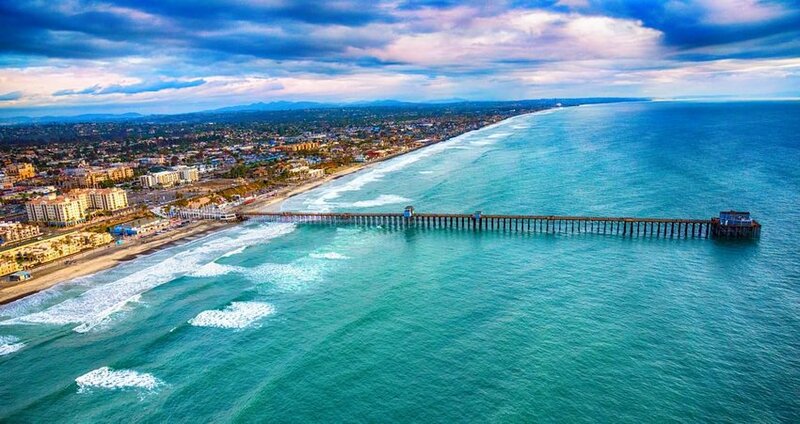 Oceanside has always had long sandy beaches with a great break, attracting surfers of all levels to its shores. The ever-popular Strand that runs parallel to the beach is the place to see and be seen on your beach cruiser or skateboard. The selection of cute cafes serving creative vegetarian-inspired foods are a-plenty. There’s also a growing number of gastropubs boasting trendy décor and unique foods. And drinkers, listen up – Oceanside is home to multiple craft breweries serving up some seriously strong ale in modern urban settings. Once you visit, you’ll understand why so many locals are proud to call O’side their home. Not actually an official name, this neighborhood is a mash-up of two adjoining ‘hoods names – Fremont and Ballard. Because there is no clear defining line, the grey area between the two has been dubbed “Frelard.” And Frelard is sprouting all sorts of hip new spots with emerging high-class venues with unpretentious attitudes. In just the last few years, this “grey area” has developed small craft beer establishments, upscale pubs, and the famous Frelard Pizza Company. 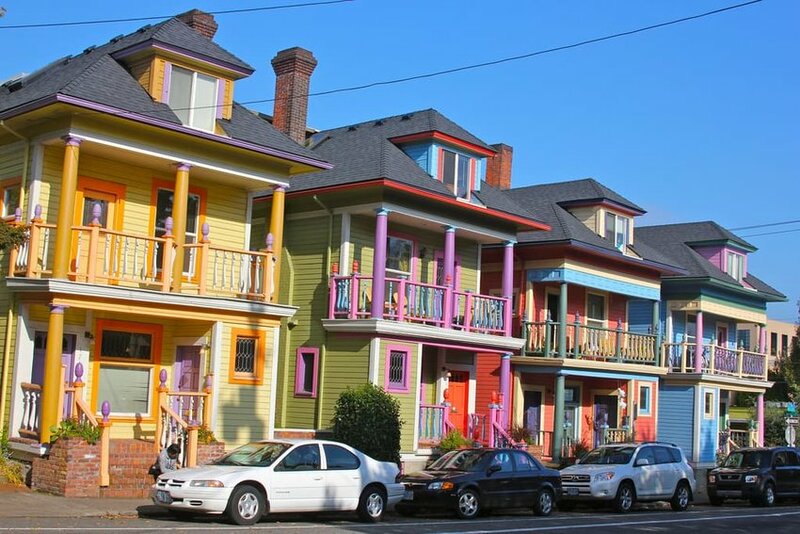 This funky and fun northwest Portland neighborhood is a pleasing mix of charm, class, natural surroundings and weirdness. Somehow, all these strikingly different aspects find a way to blend and even compliment each other in Nob Hill. Here you’ll find lots of cozy coffee shops and unique boutiques and concept shops, like Betsy & Iya, the neighborhood’s favorite jeweler. You certainly won’t go hungry in Nob Hill, either. Whether you’re craving Spanish-inspired cuisine, specialty meats, artisan sandwiches, or vegan options, Nob Hill’s got you covered. And here comes the “weird” part – Nob Hill’s Freaky But True Peculiarium and Museum, your place for all things past and present that are truly bizarre. We’re not sure, but we’re thinking the “Keep Portland Weird” slogan was inspired by this museum’s strange exhibits! 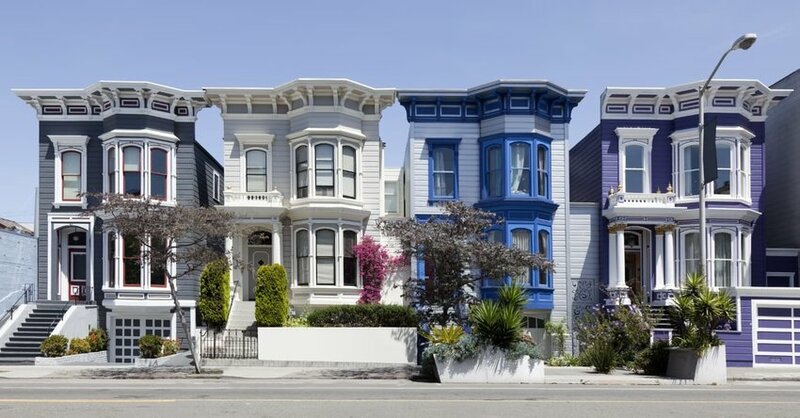 This is a diverse neighborhood that mixes all the endearing qualities of quirky San Francisco. Mission Street is the neighborhood’s focal point with lively nightlife options and lots of local, family-run restaurants. The Mexican food here is to die for, but so is the Chinese, Peruvian, and Middle Eastern cuisine. The bars range from up-scale to dive-y. Valencia Street (parallel to Mission) is the place for classy cocktails, while Mission is the spot for dancing and late-night fun. Vintage clothing stores, book stores, classic ice cream parlors, and the awesome street murals give this neighborhood enough character to stand out in a crowd. This ‘hood is for the adventurous people who like the outdoors with the possibility of activities all around them. The city of Bellingham is located 90 miles north of Seattle on the picturesque Bellingham Bay with mountain views in the distance. It’s the perfect place to live for those who like skiing (Mount Baker is less than 2 hours away) and tromping around in nature. South Bellingham is categorized by lots of space and greenery and life here is peaceful. 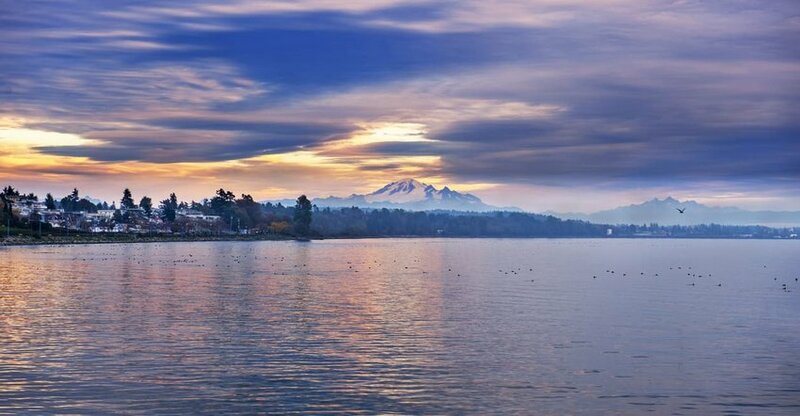 It’s also within close proximity to multiple attractions like Padden Lake, Whatcom Falls Park, and Boulevard Park which boast dozens of hiking and biking trails and outdoor BBQ and picnic facilities. Residents here enjoy the simple things in life and we have to agree they’re doing it right! This neighborhood was aptly named after its location on the north end of San Diego’s famous Balboa Park. It’s quickly becoming one of San Diego’s most desirable neighborhoods due to its unique architecture and emphasis on arts & culture. The Craftsman cottages and bungalows, built in the 1920s, give the neighborhood a quaintness not found anywhere else. The venues in North Park run the gamut from dive bars, to coffee lounges, to live entertainment places, to multiple breweries, to up-scale cocktail bars. Not to mention, the varying range of hip restaurants offering things like authentic Belgian waffles and gourmet comfort food. 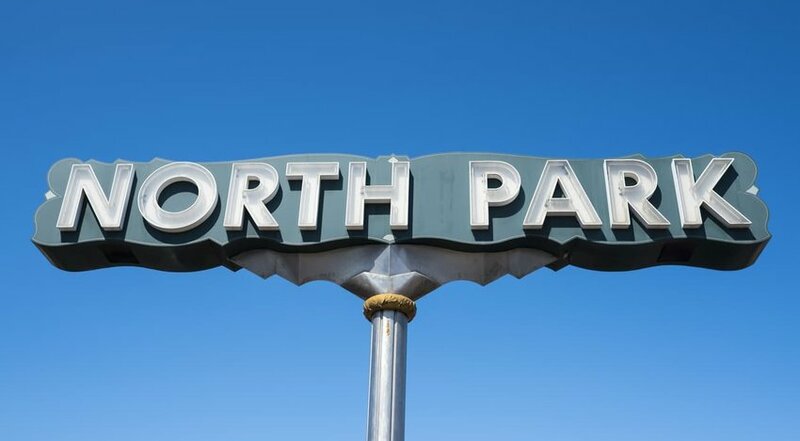 Luckily, North Park is a super bike-and-pedestrian friendly city, which is good when you think of all the eating and drinking you can do here! Calling all artists! This is the place you need to be whether you’re successful and thriving or still up-and-coming. Eureka welcomes you regardless of your status with an encouraging statistic – it’s got the highest number of artists per capita of any city in the state! 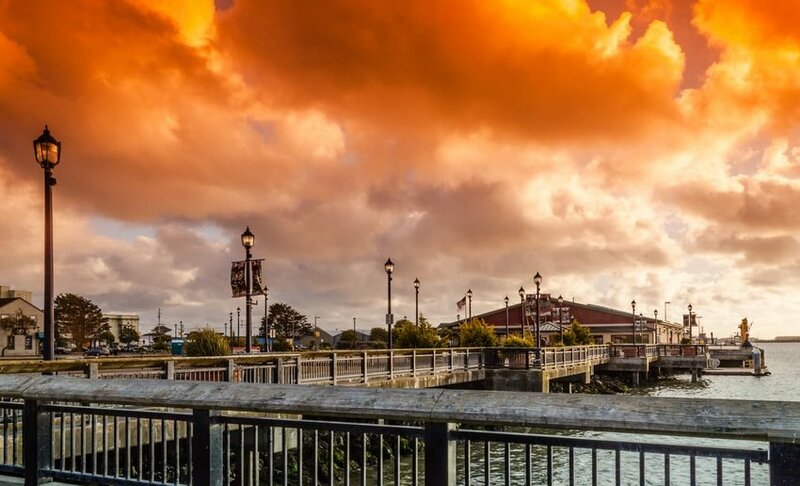 Eureka’s Old Town is the vibrant heart and soul of this small, waterfront city in northern California. Old Town is a neighborhood fully committed to the arts and it shows in every aspect. From the Art Alive event hosted every month when 80 galleries, museums, theaters, and cafes stay open late so patrons and artists can mingle and network, to the street murals seen decorating the downtown area – Old Town definitely pays tribute to it’s more than 1,000 resident artists. 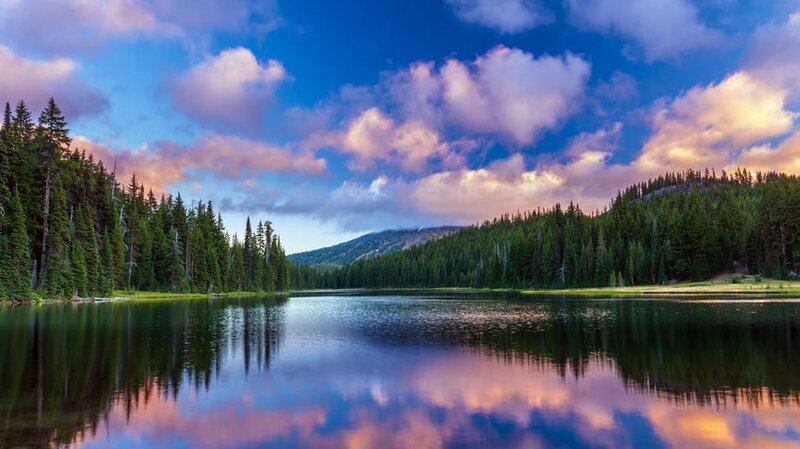 Smack dab in the middle of the state is the small city of Bend, located on Mirror Pond and the Deschutes River. Bend is divided into several charming neighborhoods. However, it’s Old Mill District that stands out as both laid-back and sophisticated – two traits that aren’t easy to blend. Riverfront seafood restaurants with sunset views mean a romantic dinner is doable any night of the week. If you’re looking to let loose with friends, visit any of the 5 breweries in the neighborhood or catch some waves at the Bend Whitewater Park. If you’re a fitness fanatic you’ll love the access to the Deschutes River Trail. The big cherry on top is the Les Schwab Amphitheater, a premier open-air music venue in Oregon that’s hosted the likes of Bob Dylan and Jack Johnson. Life is just cooler in Old Mill. You knew one L.A. neighborhood would make this list, right? Los Angeles is the definition of hip, and it’s hard to narrow it down to one neighborhood to make the cool category. However, we managed to pinpoint Silver Lake as a sociable, lively, entertaining and overall rad place to spend time. With a bi-weekly farmers’ market, tastings at the local winery, and badass indie concerts hosted at the notorious Satellite dive (formerly known as Spaceland), there are plenty of ways to stay busy. Sunset Junction is the place to shop the trendy boutiques and be seen sipping a café latte at Intelligentsia, the hippest coffee shop you’ll ever visit. 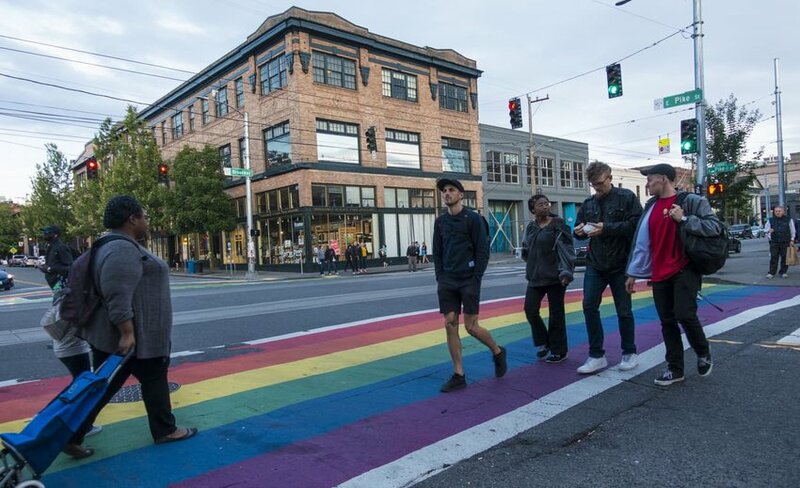 Not to be confused with the Capitol Hill in Washington D.C., this Pacific Northwest neighborhood is the LBGTQ hub of Washington state. This open-minded community supports individualism and expression, making it one of the coolest places on the West Coast. The top-notch international restaurants serve everything from gourmet Vietnamese to Mediterranean seafood specialties. Shopping is as hip as it gets with fair-trade jewelry, art, and accessories, as well as the Elliott Bay Book Company which has been around since the 70s! Craft cocktail venues, karaoke bars, and the 48-acre Volunteer Park round out this eclectic neighborhood where nearly anything goes.